First of all, I have to disappoint those who, judging by the title, think that this writing will be a sort of fanfiction. This is not so. With the help of Conan Doyle’s stories I try to examine the great detective’s attitude towards women and his opinion on them. Is there any need for an article with a topic like that? My answer is yes. The main reason for that is that there are numerous misbeliefs around Holmes in connection with women, and we, the creators of the site would like to dispel as much as possible (Recommended site: Common misbeliefs). In addition, our aim is to show that there are still countless topics, themes in the Canon to discover. Sherlock Holmes and the Victorian era are very complex, multiple and diverse subjects. This article does not deal with the facts of how women lived during the Victorian era – you can find great essays on that from the experts of the topic. I would only like to show what the adventures reveal of Sherlock’s attitude towards women. In more than half of the 60 Sherlock Holmes stories appear women – sometimes they are the main characters, sometimes their role is minor. This shows that Conan Doyle was not indifferent to the subject either, it was important to him to speak, or rather, write about the situation of women belonging to different age groups and classes. During the investigations of the great detective many current problems are mentioned. Among several other issues it is also discussed how difficult, or almost impossible it was for a woman to divorce, and it is pointed out too that a husband had nearly absolute power over his wife. Some say that the writer did not really like women and he spoke in a derogatory sense about the suffragette movement. Neither statements are true. Doyle loved and respected his first wife so much that though in 1897 he already met the woman who later became his second wife, he remained faithful to his gravely ill wife and married his new love only in 1907, one year after his wife’s death. He often makes Holmes to give voice to his opinion on different topics related to women. Of course the most sigfnificant woman of the Canon is Irene Adler, the heroine of A Scandal in Bohemia. 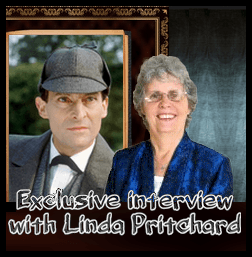 She has her own topic in our article on misconceptions (You can read more here: Holmes was not in love with Irene Adler). Here I would only mention that the sleuth has her in his index, he knows that she is an opera singer and adventuress – so she does not fit in any traditional classes of society. 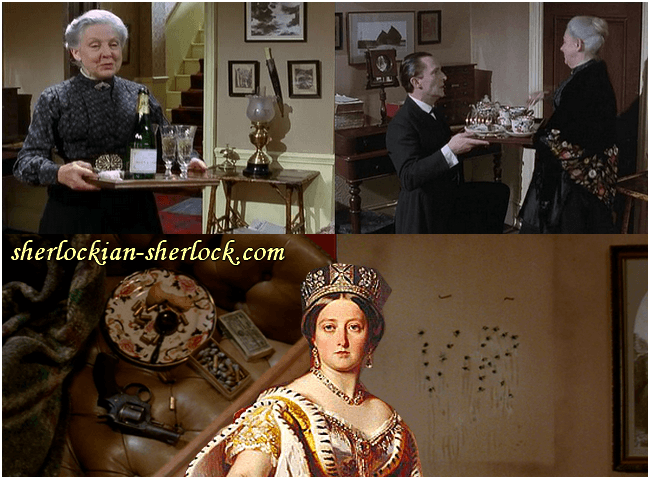 We can even say that she is so special and exceptional like the detective himself, who invented his own profession – so no wonder that Holmes keeps an eye on her. As she outwits him, the detective always talks about her cleverness with respect, and thanks to her he slightly changes his opinion on women – but again, this does not mean that before this case he only had to say bad things about ladies. Remember, Holmes is a Victorian gentleman. Beauty seems to have no effect on the detective. Watson remarks many times how beautiful this or that client is, but Sherlock does not even notice this. The reason for that is that he is interested in the problems and not in the looks of the persons who ask for his help. It is an interesting fact that the names Mary and Violet both appear four times in the Canon. Though the detective once refuses to accept an award from Queen Victoria, it does not mean that he remonstrates her person. He is such a patriot that he decorates the wall of his living room with shooting the monogram V. R. (Victoria Regina, meaning Queen Victoria) into it. In conclusion I would like to encourage everybody to read the Canon in such a way that you focus on different things every time. You can concentrate on dates, on places, on the moral of the stories, on the minor things the characters mention and so on. You will find that there are countless interesting tales in each and every story, and all await for you to uncover – like a detective. „ If it is true that God created man in his own image, we can say that man created the violin in the image of a goddess – because the violin is a beautiful goddess ” – told the famous violinist, Yehudi Menuhin, whom we owe among many other things the World Day of Music which is on the first of October. Professor Joseph Bell, who inspired the character of Holmes, was a married man with three children, though his wife Edith died at young age (, she was only 34 years old). The couple lived happily in their peaceful home and Bell never remarried after losing his wife. Dr. Joseph Bell organized and held lectures for nurses and taught the first female medical students - which was very important, because there was substantial prejudice against women who wanted to be doctors.